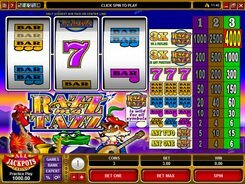 Razzmatazz is a Vegas-style slot with three reels and a single payline that accepts up to three coins. A coin size is adjusted in a range of $0.25 to $5, so the top wager you can make is $15 per spin. 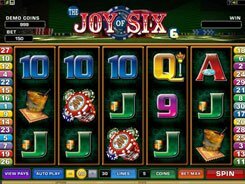 The slot features a wild symbol and a grand prize of $20,000. The symbols set includes single bars, double bars, triple bars, sevens and a Razzmatazz logo. Bars are the lowest paying symbols awarding 2 to 150 coins for any three bars or for three matching bars. Sevens pay out 100 to 300 coins if you hit these three on the payline. 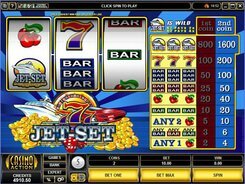 Look out for the slot’s logo as it is the biggest payer in the slot. 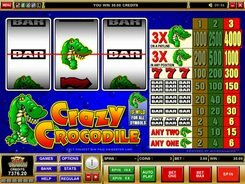 Three logos displayed on the payline award the abovementioned jackpot if you play at max bet. 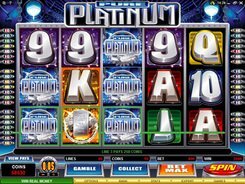 Besides, if three logos appear above or below the payline, but still in view on the reels, you get 200 to 1000 coins. Finally, the Razzmatazz logo acts as a substitute for other symbols helping to complete winning combinations. 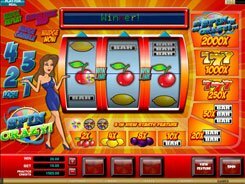 Having a basic set of features, the game will definitely take the fancy of 3-reel slot enthusiasts who like classic fruit machines with a modern twist. PLAY FOR REAL MONEY!